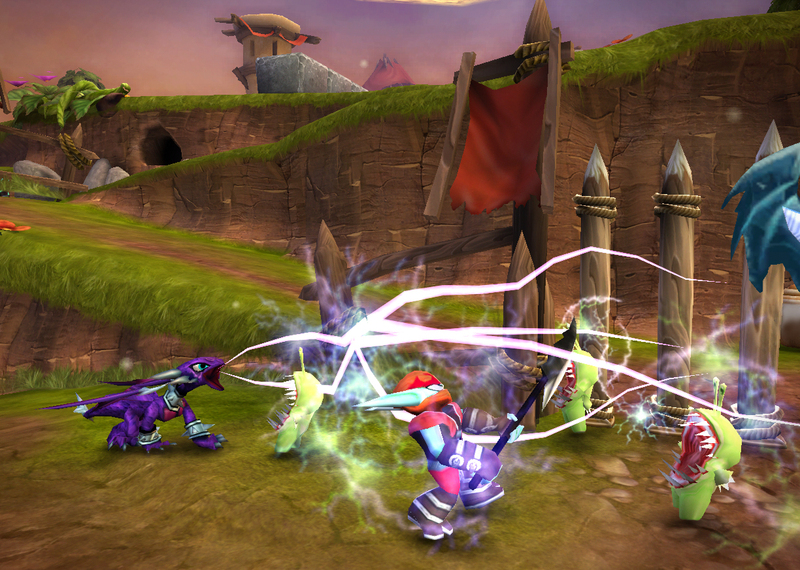 Get Ready, Skylanders Giants Is Coming! 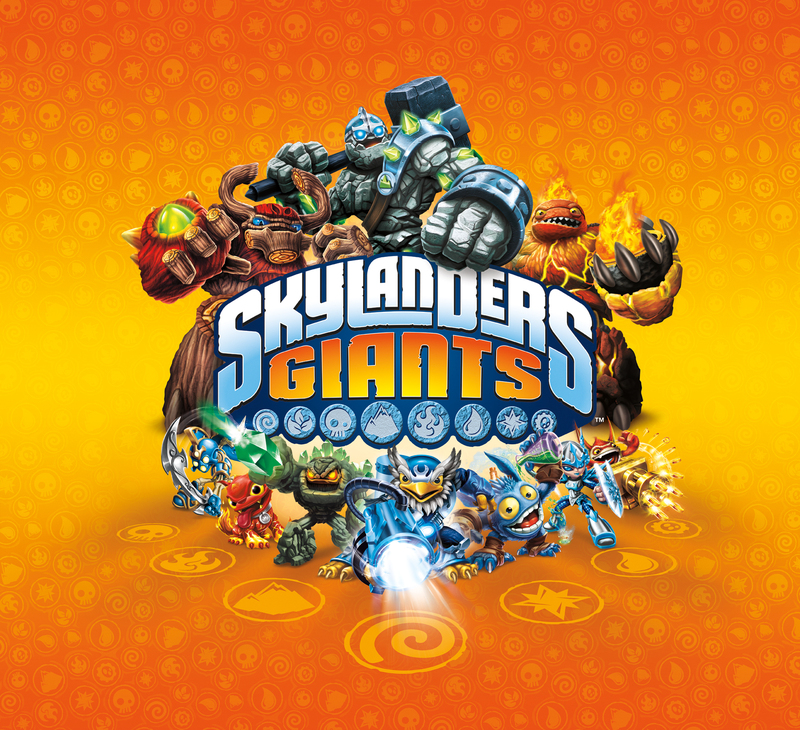 If your kids are fans of last year’s hit Activision game Skylanders Spyro’s Adventure , then get ready for a whole new wave of gaming fun with Skylanders Giants . This expansion hits stores on October 21st and includes new characters and gameplay options that your kids will love. I was thrilled to be able to attend a preview event at Activision and get some hands-on time with Sklyanders Giants . Well, I didn’t so much get time with the game as did my kids who were also invited and were completely blown away. Our time at Activision started with lunch in a room filled with new products that will be coming out in conjunction with the game release. There will be everything from backpacks and lunch boxes to books and bikes. The kids also got a chance to talk with the developers and it was ridiculously fun to hear the exchange. This group of kids knew Skylanders cold, so it quickly turned from a conversation about their favorite characters into a conversation about what they hoped to see in the expansion. In a room full of adults who write about games, we didn’t need to ask a single question because the kids totally had it covered. They asked about new levels, new characters, new hats and new ways to play and were thrilled to hear that they’d be getting it all in Skylanders Giants . They even talked strategy and got game play tips. The conversation proved that the folks at Activision are very much in tune with their inner twelve-year-olds and have made an expansion the kids are really going to enjoy. Once the pizza and shop talk was over, they took the kids into a room set up with the game on various platforms. The kids cozied up to the console they liked most, put on their headphones and jumped right in to the game. I honestly don’t think I saw a single parent spend more than two seconds with a controller because the kids were having too much fun. The big thing with this is expansion is, well, big. 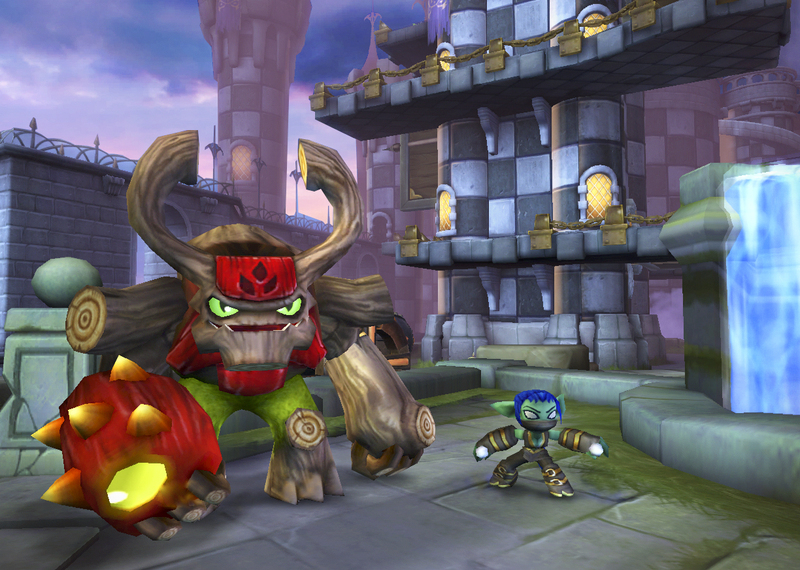 The Giants are figures that are twice as large as the original Skylanders and have their own unique powers and abilities in battle. The figures looked fantastic and the kids loved how they played. There was a lot of swapping back and forth so they could all check out the new figures and test their might in battle. 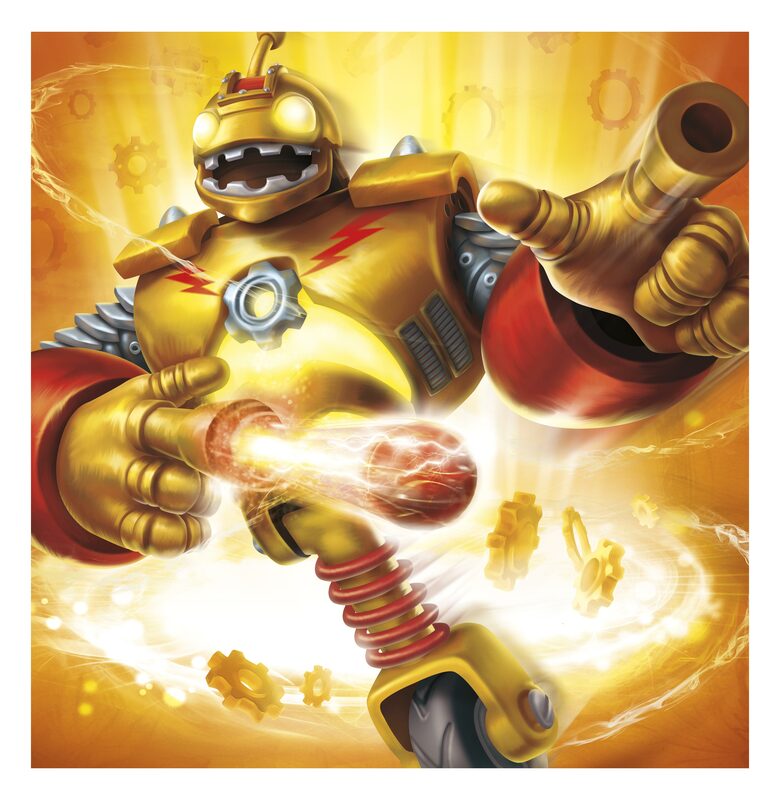 There are also LightCore Skylanders that don’t just light up on the screen, but light up as soon as they’re placed on the Portal of Power. There are all sorts of little clear plastic accents that suddenly begin glowing and make the figures look all the more ready to fight. These guys also have powers that are unique to each character. New standard-sized Skylanders have also been added as well as Series 2 versions of the most popular characters from the original. The Series 2 figures feature special new power upgrades and can also be used in the original game, however other new characters are for the Giants version only. All of the original characters from Skylanders Spyro’s Adventure can move up and join the new figures in Skylanders Giants , so kids don’t have to say goodbye to the characters they already love. They’ll move along with all their upgrades and abilities, too, so nothing will be lost. As an added bonus, they can also take advantage of the new level cap that has increased from 10 to 15 in the expansion. You’ll be able to pick up Skylanders Giants for Wii, Xbox360, PS3, and 3DS on October 21st with a WiiU version due closer to the holidays. It will be available in a Starter Pack ($74.99) complete with Portal of Power for those playing for the fist time, or in the Portal Owners Pack ($59.99) for those who have already purchased Skylanders Spyro’s Adventure ($69.99). I was provided with a trip to Activision for this preview.